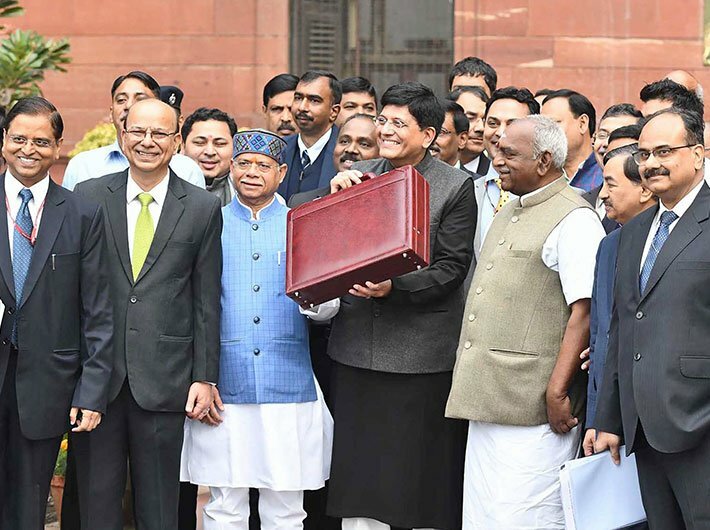 The interim budget for 2019-20, presented by the interim finance minister Piyush Goyal, is predictably focused on the coming elections. From agriculture to defence, and pleasing the middle class, the budget aims to keep everyone happy. PM Kisaan Samman Nidhi package has been announced for farmers, under which Rs 75,000 crore has been allocated. The money will go directly to the farmers' account. Farmers owning land less than two hectares will receive Rs 6,000 per year as direct cash transfer. The first instalment will be disbursed before the elections. Defence budget enhanced beyond Rs 3 lakh crore. Cheer for the middle class: Full tax rebate for those with income upto Rs 5 lakh a year. Individuals with gross income up to 6.5 lakh rupees will not need to pay any tax if they make investments in provident funds and prescribed equities. A pension scheme has been announced for the workers in the unorganised sector with a monthly income of up to Rs 15,000. An assured monthly pension of Rs 3,000 will be given after they retire at 60. More than 8 crore free LPG connections to be given. Increased allocation for Rashtriya Gokul Mission to 750 crore in the current year for protection of cows.